Pearl Jam has been a socially conscious band for decades, but it’s starting to look more and more like Eddie Vedder was recently visited by three Christmas-related ghosts who taught him an important lesson about the value of helping your fellow man. Or maybe the members of Pearl Jam are just generally good people who like to use their Hall Of Fame-worthy success to make the world a slightly better place. Either way, we already reported on Vedder donating $10,000 to help a mother in Maryland a few days ago, and now Consequence Of Sound has a story about Pearl Jam donating $70,000 to help a man named Keith Baxter pay for his medical bills. This time, though, the story goes a bit further than Vedder being touched by the heartbreaking struggle of one Maryland mom. 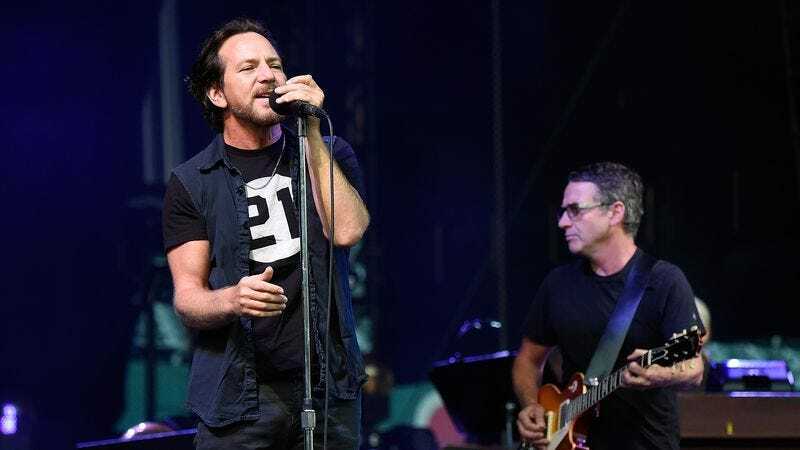 As it turns out, Keith Baxter actually saved Vedder’s life 15 years ago when he and five other people were in a boating accident. Vedder’s six-person canoe had capsized due to strong winds, leaving Vedder and two other passengers stuck treading water for a few hours. Baxter and his daughter Ashley heard them calling for help and pulled Vedder and the others to safety. Recently, Baxter was in a boating accident of his own when a rusty anchor nearly severed his leg and left him with what Consequence Of Sound calls “a nasty bone infection.” Through some random happenstance, Ashley Baxter bumped into a woman who was on the boat with Vedder 15 years ago, and she set up a GoFundMe page to help Baxter pay for his medical bills while also reaching out to Vedder to see if he could help. After the GoFundMe page raised $70,000, the members of Pearl Jam stepped in and matched those donations, bringing the total to over $140,604. Keith Baxter may still lose his leg, so anyone who is especially grateful for the music Pearl Jam has put out since he saved Eddie Vedder can contribute to the GoFundMe page at this link.